Shaving with an electric razor saves you the hassle of dealing with messy shaving cream and dull blades that can leave your face all cut up. But the friction generated by an electric razor's moving blades usually causes the head to heat up, which can in turn irritate a dry face. The only alternative left is to let your beard grow free, or try Braun's new CoolTec Shaver which promises to eliminate both stubble and heat. 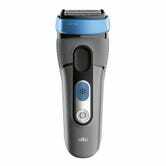 Using what Braun has dubbed "Thermo-Electric Cooling technology" the razor features an aluminum cooling bar that draws the warmth away from the blades and your face like a heatsink. It's also blessed with a three-blade cutting system to chop down whiskers both tall and short in a single pass, and a charging station that uses an alcohol-based cleaning system. 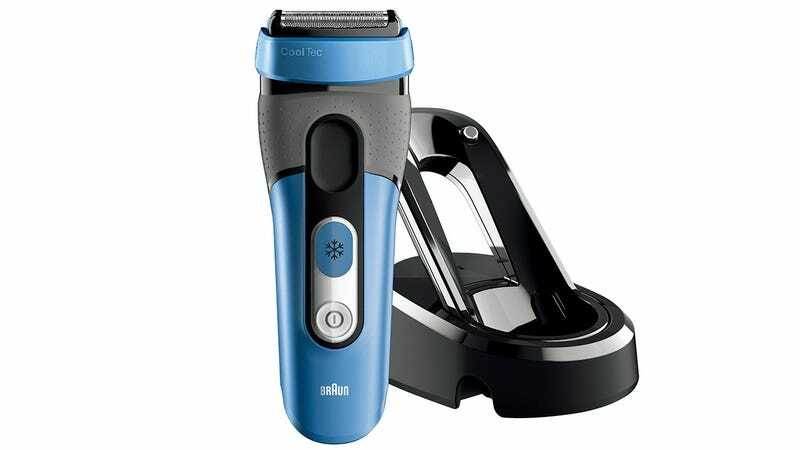 Pricing hasn't been confirmed since the CoolTec Razer won't be available until August, but anyone who relies on an electric shaver will probably be happy to drop a few hundred bucks if this lives up to its promises. Update: Now available at Amazon for around $180.